The spotted owlet (Athene brama) belongs to the family Strigidae under the order Strigiformes. The family Strigidae was first described by William Elford Leach, MD, FRS (2 February 1791 – 25 August 1836), an English zoologist and marine biologist, in a guide to the contents of the British Museum published in 1820. 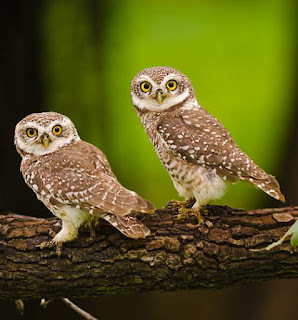 Nearly 25 genera and 220 extant species are classified under the Strigidae. 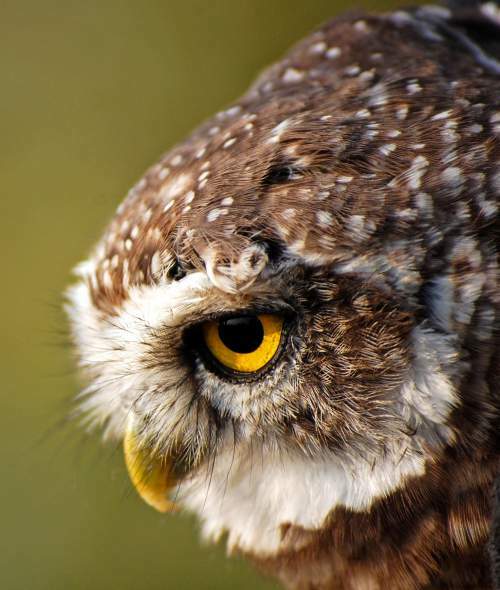 The genus Athene was introduced by Friedrich Boie (4 June 1789 – 3 March 1870), a German entomologist, herpetologist, ornithologist and lawyer, in the year 1822. 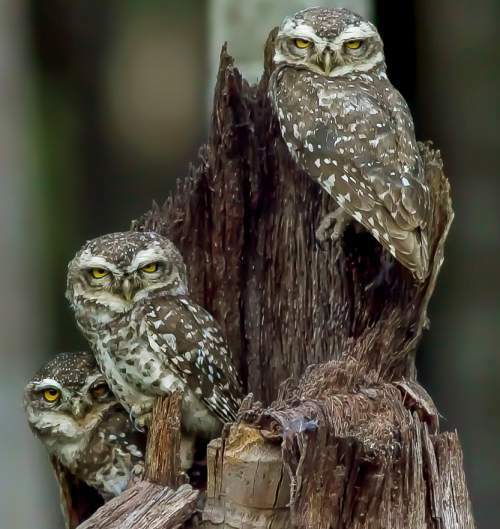 The genus Athene includes four living species, viz., Athene brama, Athene noctua, Athene blewitti and Athene cunicularia. 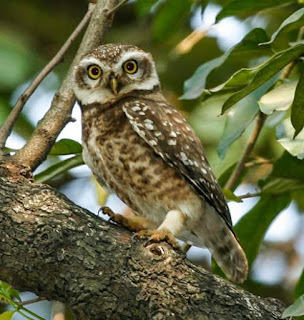 The species Athene brama is polytypic and includes five subspecies, viz., Athene brama brama, Athene brama indica, Athene brama ultra, Athene brama pulchra and Athene brama mayri. 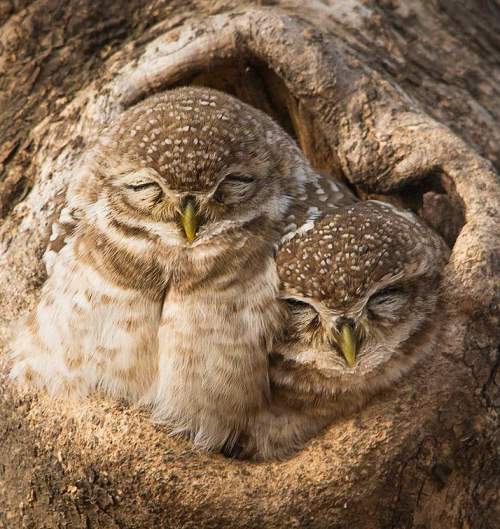 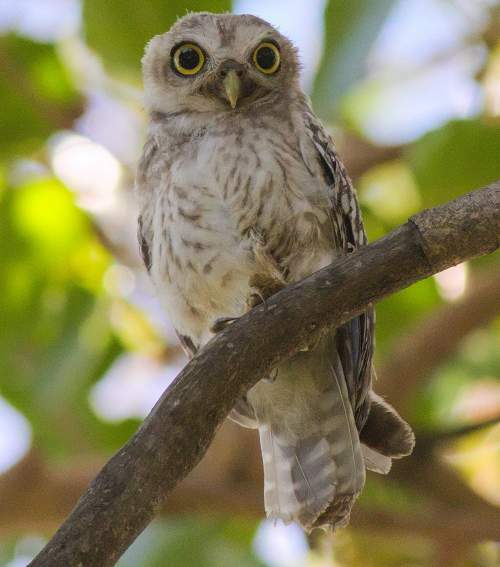 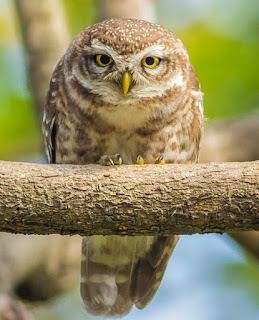 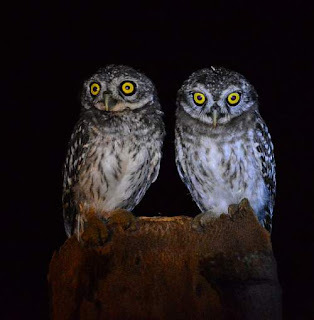 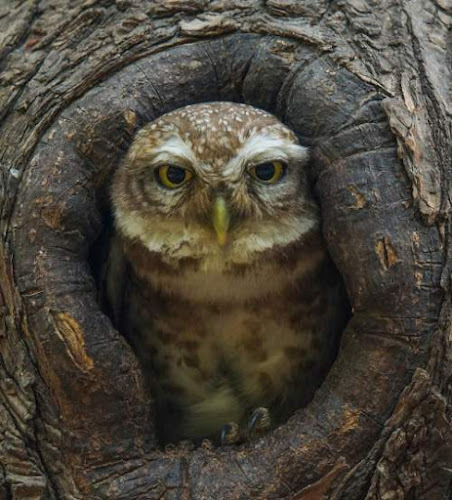 Current topic in Birds of India: Spotted owlet - Athene brama Photos.